Flooring experts in Stuart FL are standing by to help you! We are a top rated full service construction company that handles all the new and remodel flooring in the Stuart and Port Saint Lucie area of Florida. Offering a wide selection of amazing tropical Florida flooring. While specializing in hardwood floors and engineered wood. We also provide an extraordinary selection of tile flooring in all different styles, sizes, and colors. Our installation team here at FDR is dedicated to providing the highest quality floors and installation. Making the process as seamless and stress free as possible. At FDR we are here for you every step of the way to ensure that your dream floors become a reality. 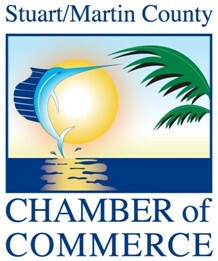 Come visit our Stuart FL. showroom and choose from any of our beautiful flooring options. Our designers are standing by to help in your decision making process. Offering our expertise in styles, colors, and sizes. Our top rated FDR team is able to deliver high quality installation work in a quick and efficient amount of time. Call us today at 772-221-7791 to schedule an appointment or simply stop in and visit us at our showroom located in Stuart Florida. Providing expertise for all of your construction and remodeling needs since 2004.